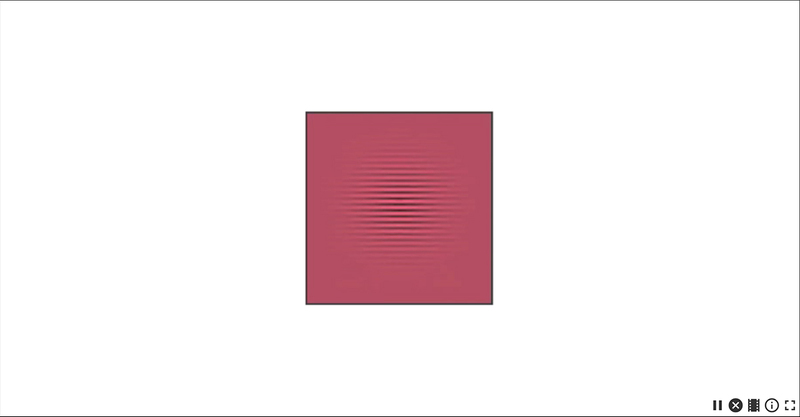 In Visual Sweeps, you watch two spatial frequency sweeps (movements of bars) and determine whether each one swept inward or outward. It might not be obvious, but when broken down to its most basic parts, everything in our visual world is constructed of the basic visual information—color, luminance, orientation, spatial frequency—contained in these sweeps. If we can help our brains effortlessly identify these sweeps at very rapid speeds, we’ll improve visual acuity overall. This cognitive skill is useful in many situations. For example, imagine that you’re playing tennis. Your opponent serves the ball. Your ability to return it depends, in part, on visual processing speed. The faster you can spot the ball and identify its trajectory, the sooner you can get yourself in position to hit it back. Color and luminance: There are five different colors of sweeps, carefully chosen to maximize neural response. Orientation: There are four different sweep orientations: vertical, horizontal, and two diagonals. Again, each of these orientations targets a different set of neurons. Spatial frequency: The bars in the sweeps get thicker and thinner to ensure your brain responds equally well to all sweeps. As you improve in the exercise, the sweeps gradually speed up, pushing your brain to speed up along with them! Your score is in milliseconds. As you improve, the visual sweeps speed up, giving you a lower (better) score).